This package includes Basic Services of the Funeral Director and Staff; Embalming; Dressing, Cosmetizing, Grooming, Casketing; Visitation (at the Funeral Home or other location); Funeral Ceremony (at the Funeral Home or other location); Graveside Service; Casket Coach; Utility Vehicle; Transfer of Remains to the Funeral Home. 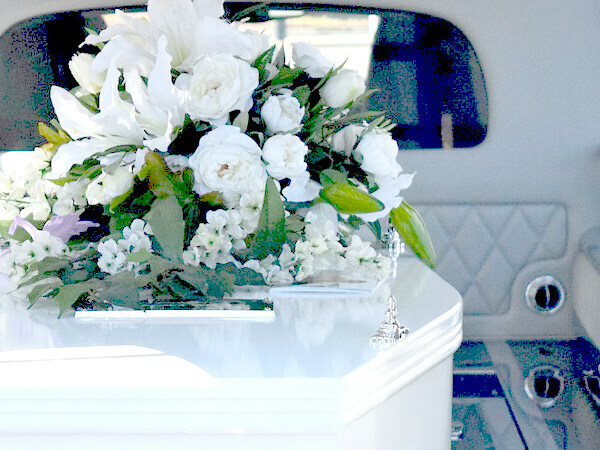 This package includes Basic Services of the Funeral Director and Staff; Embalming; Dressing, Cosmetizing, Grooming, Casketing; Services and Use of Facilities for Funeral Service with Visitation prior to the Service; Graveside Service; Casket Coach; Utility Vehicle; Transfer of Remains to the Funeral Home. This package includes basic services of the funeral director and staff; embalming; dressing, cosmetizing, grooming, casketing; graveside service; casket coach; and transfer of remains to the funeral home.